Whew! There seems to be so many positive things going on in West Jackson lately that I’m having a hard time keeping up on the blog! No worries though, because that, my friends, is a wonderful problem to have. 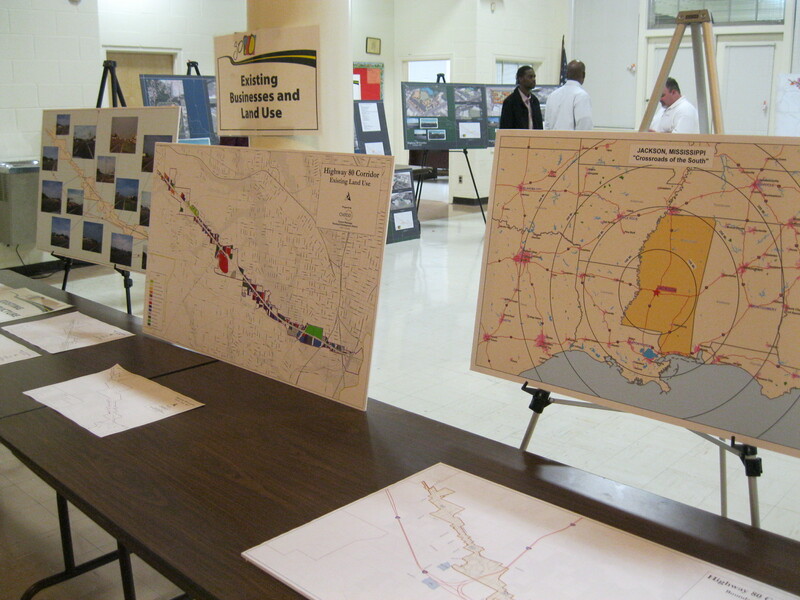 On Tuesday, November 9, the City of Jackson and the Central Mississippi Planning & Development District hosted the last public forum for the redevelopment of the Highway 80 corridor. In total, the city hosted four forums to get feedback from residents, business owners, and other community stakeholders. Information gathered will be used toward the final Economic Development Plan for Highway 80. There were several promising ideas announced during the forum. Remember the WESTerday Trivia question about the Little J railroad? Well, the plans presented at the forum included the conversion of this abandoned railroad into a multipurpose recreational trail. The segment of this railroad that exists in Raymond has already been converted and the Longleaf Trace trail that travels from Hattiesburg to Prentiss is a major asset for every community near it. It would be great to have something like this in West Jackson! In fact, the presenters mentioned that preliminary plans for the Little J line are in the works. Other proposals include the construction of more biking trails, two connector highways with tree-lined medians, a shopping center at the site of the former Showtown Drive-In movie theater, and an entertainment complex at the former Southport Mall near Ellis and Highway 80. Of course, these are all proposals with no funding attached to them as of yet. Never fear, though…all projects start with a plan. CMPDD intends to have the final economic development plan submitted to the city by the end of the year. For more information on the Highway 80 Economic Development Plan, visit the go80 website. For further details on the forum, see the news articles below.